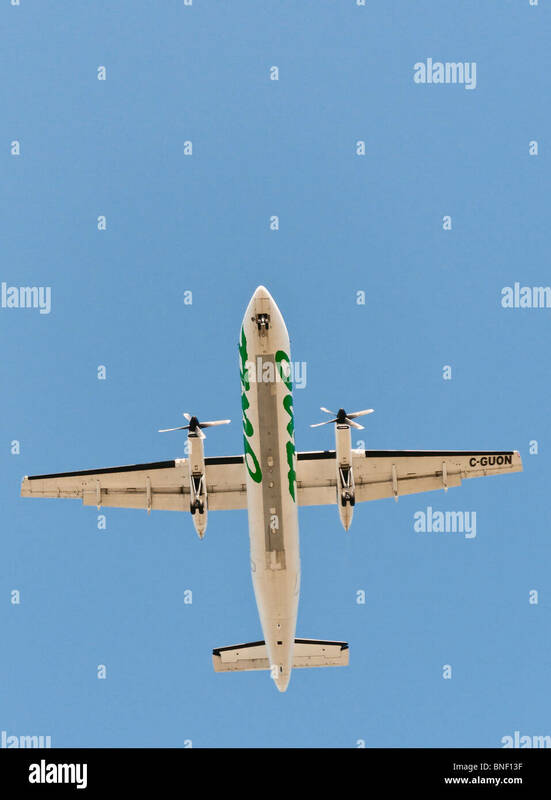 Looking straight up at an Air Canada Jazz Dash-8 commercial airliner on final approach for landing at Vancouver International Airport. 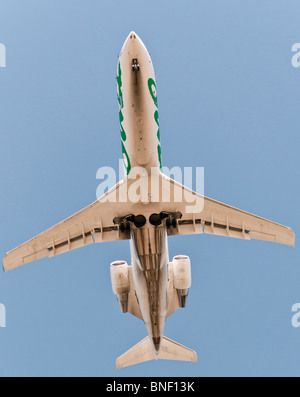 Looking straight up at an Air Canada Jazz CRJ-200LR commercial jet airliner on final approach for landing. 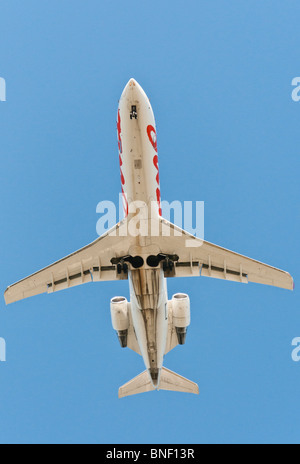 Looking straight up at an Air Canada Jazz CRJ-100ER commercial jet airliner on final approach for landing .